I never lost hope of Cherry Mobile. 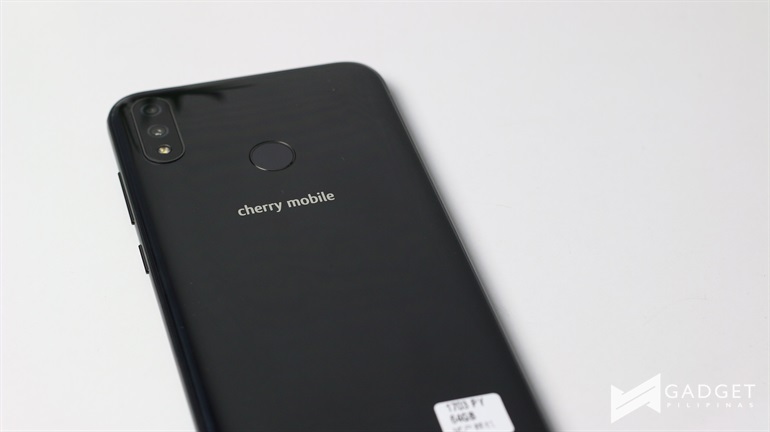 Like most of the brand’s fans, I remain to stay hopeful because of Cherry Mobile’s dedication to bringing products that value what the Filipinos want. Things have been tough for Cherry Mobile lately due to its international competitor’s aggressive approach to marketing their products. However, despite this, the company’s resolve to be dominant in the market remain strong and unshaken. Every year, we are treated with a new hero flagship device from the local company, and our verdict isn’t consistently good. Their first dabble on 18:9 display last year received mixed reviews, but we thought that it was a good start by the company and it was a direction they needed to be in. A year later, we have the Flare S7 Plus – the most premium and probably the best Cherry Mobile phone we have reviewed yet. There’s too much to talk about, and we thought that we first show you our unboxing experience before we proceed with our full review. Cherry Mobile Flare S7 Plus is unlike any Cherry Mobile device we’ve reviewed. It is different in many ways: the screen, the notch, its overall construction, its weight – just everything about it. Remove the ‘Cherry Mobile’ branding here, and you would easily mistake this as a phone from an international brand. Perhaps, the most noticeable bit of this smartphone is its notched screen. Its 6.18-inch screen is slapped with a notch with acceptable size, which is almost as big as the one on the Huawei P20 Pro and Apple iPhone XS Max. The front camera, which I will talk about later, doesn’t have many features tucked into it but the size of its notch says otherwise. I am not complaining here though, but I would have wanted it to look like the one on the ASUS Zenfone 5z. USB Type C isn’t new for Cherry Mobile, and that’s a plus factor for the Flare S7 Plus. The lack of 3.5mm headphone jack is a bit of a disappointment, but at least Cherry Mobile included a Type C to 3.5mm headphone adapter in the box. I just hate the fact that I always have to carry it with me. 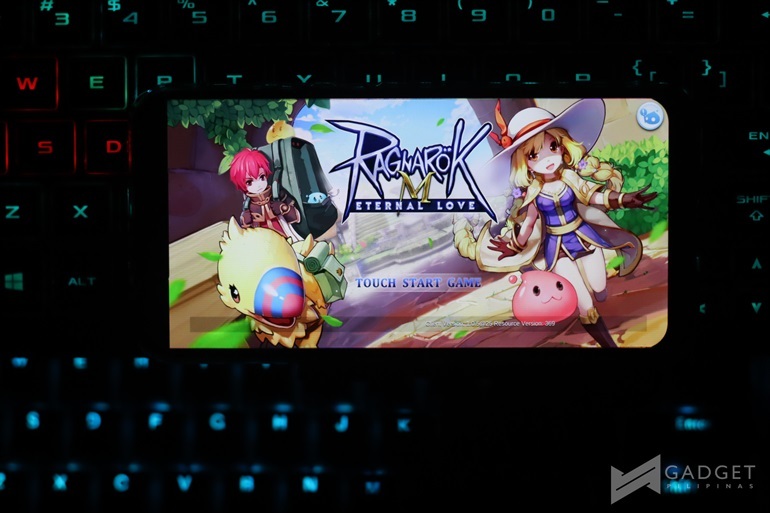 Oh, speaking of its screen – it has a sizable display real estate, which I believe will delight a lot of mobile gamers and Netflix binge-watchers. Colors pop out and texts are sharp enough by our standards. It’s surely the best we’ve seen from Cherry Mobile. Flare S7 Plus’s heft says a lot about its build. If you’ve used a Cherry Mobile before, you will agree with me that this phone is un-Cherry Mobile in many aspects. Its innards are enclosed in a metallic frame and glass back panel. Oh, and before I forget, you will even get a tempered glass and silicone case out of the box that definitely gives more value to its PhP11,999 price tag. For starters, the new Flare S7 Plus rocks a MediaTek Helio P60 SoC with 2.0Ghz Octa-Core processor. 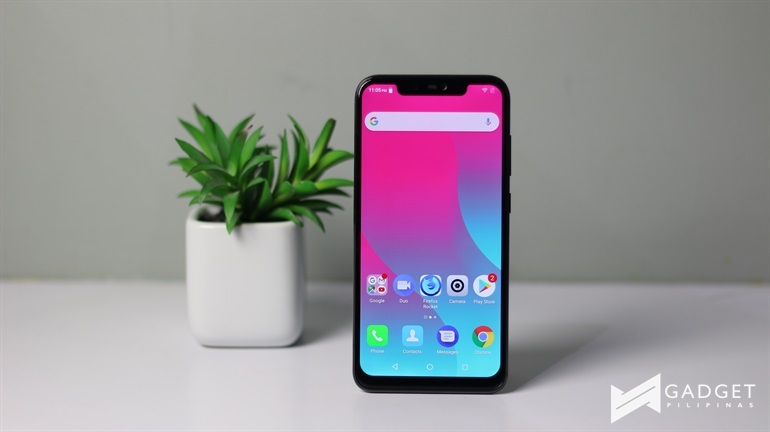 We’re honestly a huge fan of this SoC, and there’s also a reason why other brands like OPPO stick to it for 2 phone generations (OPPO F7 and OPPO F9). MediaTek Helio P60 gives Flare S7 a competitive edge in the local smartphone arena, and puts it at par with other mid-range brands. With such SoC, it gives the smartphone 3 hero features: power, good battery life and AI. It boasts consistently impressive performance. Overall operation is fast and smooth, and their ditching of Cherry OS may be contributory to this. We’re not saying that Cherry OS is bad, but optimizing a locally developed software ecosystem is both costly and difficult to manage. Moreover, whatever Cherry Mobile has done on Flare S7 Plus seems to be working on its retail build. Our review unit, which now runs on its latest software, looks very optimized at it current state. I know that a little tweaking can push it to its limits, but it seems to be working really well by my standards. 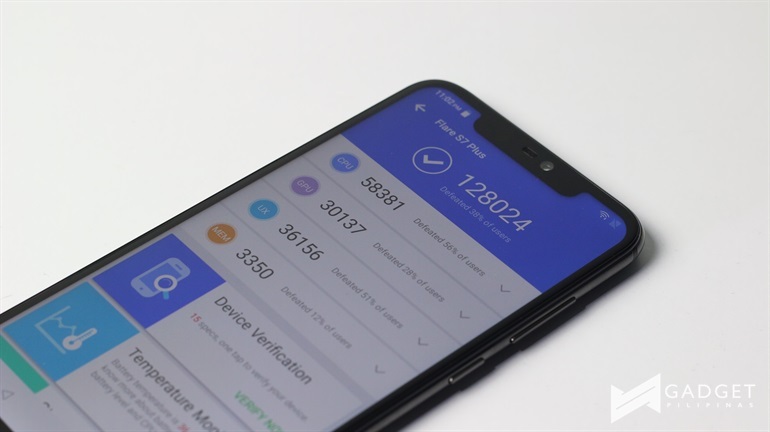 If you look closely from our chart above, the Antutu synthetic benchmark result shows that its score is just a shy away from OPPO F9’s and VIVO V11’s. It is even surprising to see how superior it is from another mid-range smartphone from another international brand, the Honor 8X. At this rate, it is easy to let go of your thoughts of considering an international brand and buy this fairly priced smartphone from Cherry Mobile instead. Watch out for our upcoming Gaming Review soon if you’re looking for our real-time Gamebench performance result. I can confidently say that Flare S7 Plus’ set of cameras is the best from Cherry Mobile to date. Like other international brands, this smartphone features 16MP + 5MP rear and 16MP + IR front camera. 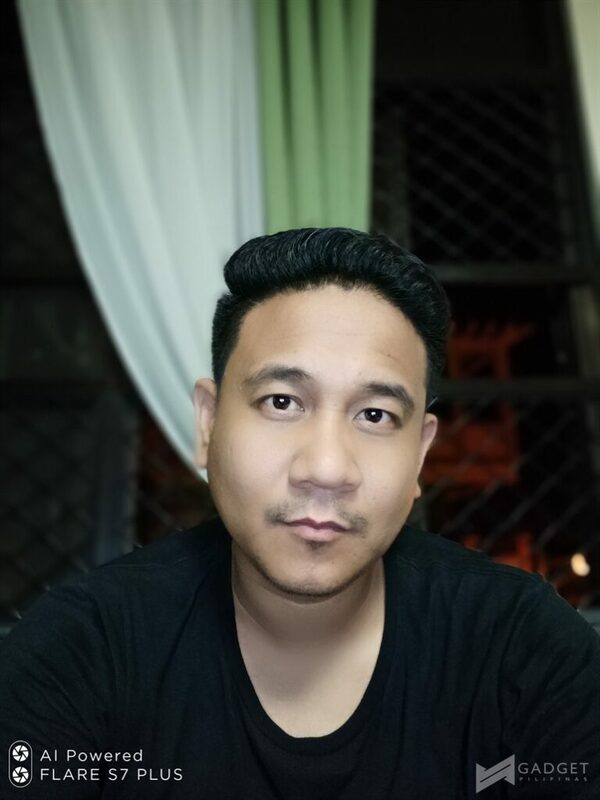 The front camera allowed us to take portrait shots, use its own version of Animoji (called Flaremoji) and face unlock. 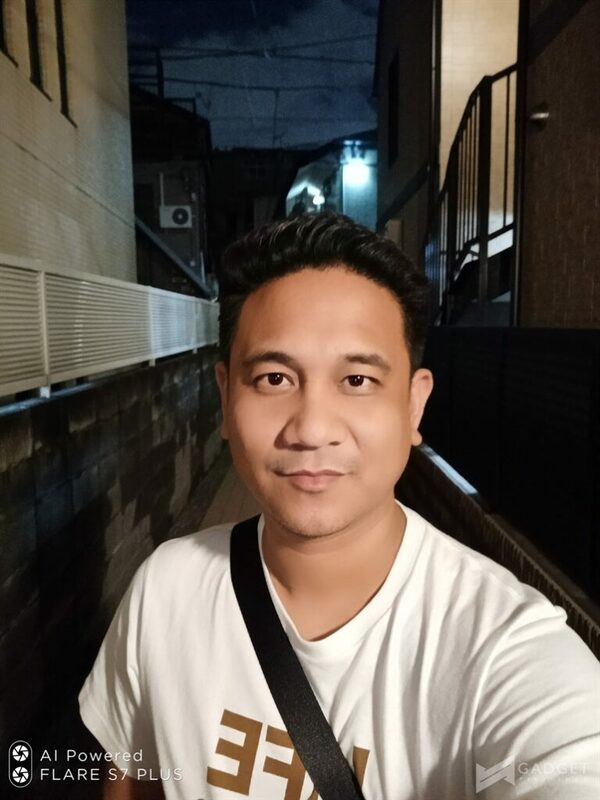 Face unlock was fast and accurate, and Flaremoji surprisingly works better than ASUS Zenfone 5z’s Zenmoji. The rear camera performed really great. It is undoubtedly the best Cherry Mobile smartphone for taking photos. Whether HDR is fired up or not on scenic shots, the photos I took are all album-worthy. Its performance at night can rival Nova 3i’s performance, and this is coming from a long-term fan of Huawei’s night mode photography features. Without post-processing, photos we took using both rear and front cameras are almost perfect in terms of saturation, vibrancy, and sharpness. Default exposure level is well-balanced, and color rendering is top-notch. Again, this is unlike any other Cherry Mobile smartphones we’ve used in the past. Even when taking photos with depth effect on, the camera is able to focus properly on the subject while nicely blurring out the background. This was never achieved correctly by Flare S6 Premium last year and seeing this on this smartphone prove its innate capability. Cherry Mobile tucked in a variety of features on Flare S7 Plus. Cherry OS is absent here so the features we are accustomed to it are nowhere to be found on this smartphone. While the current software that sits on top of Android 8.0 isn’t perfect, it is optimized enough to be able to make all its features run. I didn’t encounter any errors while using its native applications. All the games I played worked fine. 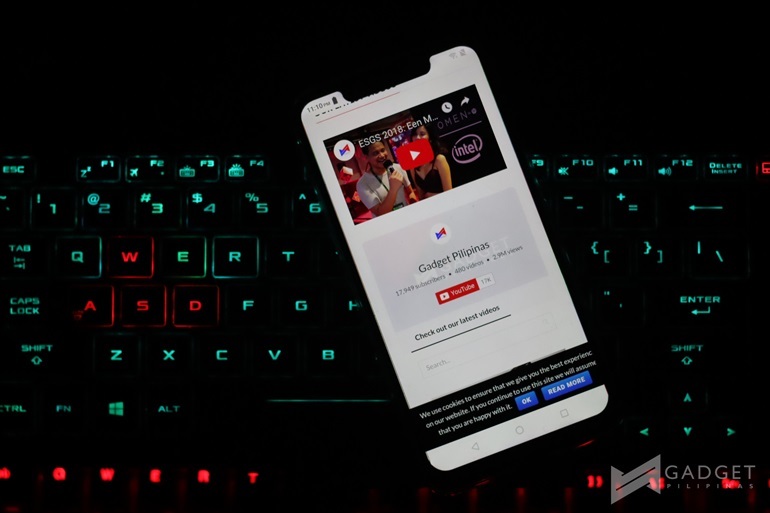 The additional features included in the software like Smart Gestures, Suspend Option, Navigation Bar options and Notch control worked flawlessly. If there’s one thing that Cherry Mobile needs to tweak though is its Home screen application. I had to install Microsoft Launcher to override its current Home application. I find it faster and more customizable to use. I can even control the size of icons and spacing and easily navigate through the windows. The Cherry Mobile Flare S7 Plus is a phone. Surprise! Though we are using our phones more on social media than taking calls or SMS from friends, its utility revolves around connectivity. As a smartphone, other than calling and data connection modules, it’s packed with all the necessary connectivity options like WiFi, Bluetooth, GPS, and A-GPS. You won’t find NFC here though as it might not be needed by its target market. Perhaps, another thing that makes this smartphone standout among other midrange smartphones is its wireless charging technology. As far as I’m aware, this is the first local brand to sport a wireless charging module. Kudos to the people of Cherry Mobile for doing this. Charging time wirelessly though takes a long time, but having it as one of its features is amazing. In terms of battery life though, its 3,050mAh juice can take less than 8 hours in a single charge for someone like me who uses social media apps a lot while connected to data. If I were given the chance to design this phone, I would have given it a 4000mAh battery, and charge an extra PhP750 on top of its price. If there’s one aspect that’s a bit of letdown on this phone, then it is its meager and underperforming battery life. Why Cherry Mobile? Why!? Despite minor woes on its battery life and underwhelming home screen application, Flare S7 Plus is the perfect blend of everything that Cherry Mobile learned from 7 Flare iterations. The Flare series has matured, and if there’s anything we could to summarize our verdict about this phone, it’s AMAZING.